Tysabri is a form of treatment that differs from others methods used in helping MS patients overcome their symptoms. Natalizumab — also known as Tysabri — is a treatment used by MS patients with relapsing forms of this medical condition. It significantly reduces the number of flares, postponing the effect of physical disabilities. It is a monoclonal antibody that’s produced inside a laboratory, with the goal of impeding the process of damaging immune cells found in the bloodstream. Furthermore, Tysabri can prevent the damaged cells from moving towards the spinal cord and the brain. In some cases, natalizumab is also used among patients that suffer from Crohn’s disease. While it’s not a treatment form that can completely cure this condition, it’s efficient in reducing moderate to severe symptoms. Tysabri is a form of treatment that differs from other methods used in helping MS patients overcome their symptoms. Overall, this treatment prevents frequent flares, while also slowing down the processes that cause MS patients to lose their mobility. In other words, it’s efficient in preventing physical disabilities from evolving at a quicker pace. Tysabri prevents the white blood cells that are part of a person’s immune system from going into the brain and affecting the spinal cord. 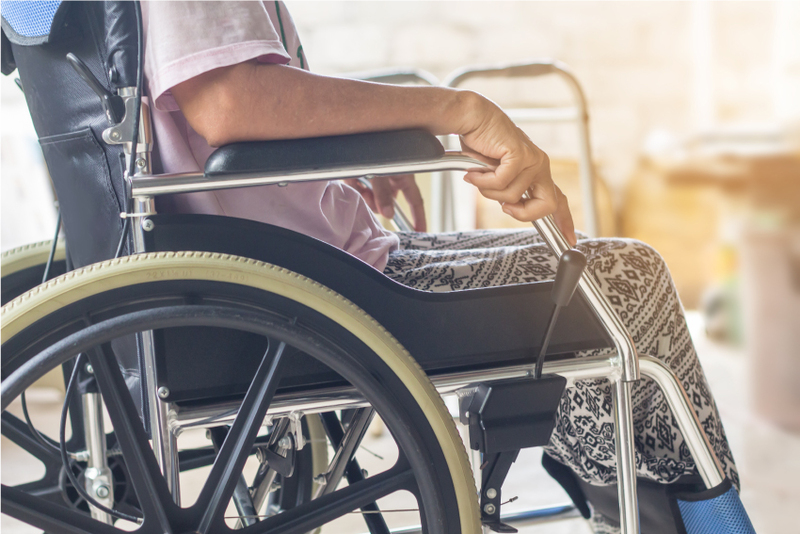 By protecting these two parts of the body, Tysabri can prevent some of the quick-evolving effects of a condition such as multiple sclerosis. Tysabri is an injectable form of treatment, which means that it requires a visit to the doctor’s office to get a shot straight in your veins. Typically, a Tysabri injection is repeated once every four weeks, and it usually takes about an hour to complete the treatment. The majority of medications and treatments that are used to combat or slow down different MS symptoms may present a series of side effects. Generally speaking, these side effects can be prevented by altering the dosage of the medication, but only a specialist can determine when and how these alterations can be made. There have been cases where MS patients undergoing Tysabri treatment have developed an allergic reaction to it. As a result of these allergies, patients experience skin rashes, dizziness, nausea, chest pains, itching, and even breathing problems. Because of these issues, patients who are just beginning their Tysabri treatment are required to stay at their doctor’s office an extra hour after having taken the drug, in order for the specialist to monitor their progress and make sure no allergic reaction takes place. PML (progressive multifocal leukoencephalopathy) is a brain infection that appeared when the FDA first approved Tysabri as a form of treatment for MS patients. It’s a rare but serious condition that pushed the manufacturers to withdraw the drug from the market for further evaluation. As a means of precaution, the manufacturer required that all MS patients who took Tysabri register and follow up regularly, to make sure that PML symptoms would be discovered as soon as possible. After implementing this measure of precaution, the drug was released back on the market. As an MS patient increases Tysabri dosage, the risk of progressive multifocal leukoencephalopathy goes up too. This condition is more likely to appear when patients take some other drugs that tone down the immune system prior to administering Tysabri. Consequently, this drug only became recommended by doctors when patients have tried different others forms of MS treatment without any success. Because of the multitude of side effects and potential risks, Tysabri is a form of medication that requires close communication between the patient and the doctor. Keep in mind that this product contains a series of active ingredients that could trigger an allergic reaction. Before taking Tysabri, you have to talk to your doctor about any past conditions that may have affected your immune system, such as leukemia, organ transplants, HIV infections, etc. The doctor should also know if the patient is experiencing any current infections, like herpes, any mental disorders, or viral infections. While there isn’t any clear information on Tysabri interaction in pregnant women, doctor will typically advise this form of treatment only if absolutely necessary. Nursing mothers should avoid Tysabri as well, despite a lack of statistics on whether the drug is transmitted to the baby through breast milk. Mothers who have to undergo Tysabri treatment should interrupt breastfeeding as long as the drug is still in the bloodstream. MS patients who are using natalizumab should always consult with their doctor before taking a new dose. Because there are potential risks and side effects that can occur as a result of this form of treatment, monitoring the patient closely is important, in order to prevent such problems from occurring. Tysabri is a medication that requires regular use in order to get the full benefits of this treatment. It’s best to always administer Tysabri under medical supervision, as this drug is often used in a mixed solution, and then slowly injected into the patient’s vein. The entire injection is a process extended over the period of an entire hour. Since this is not a rapid injection, it’s best not to administer it at home. How To Treat An Urinary Tract Infection? Can you describe your personal experience with Tysabri? What is the cost of Tysabri infusion? I think I have allergic reaction to Tysabri. What to do? Your opinion about Tysabri Drug Treatment? Could Gilenya be causing cancer? Do I have and STD?